Donnie Ray Black, age 62, of Wolf Run Road, Flemingsburg, passed away Friday, November 30, 2018, at Hospice of Hope in Maysville. Born June 9, 1956, in Richmond, Indiana, he was the son of the late Donald Wayne Black and Helen Lucille Pugh Black. In addition to his parents, he was preceded in death by two brothers, Ricky Black and William Thomas Black; two sisters, Vicky Gayle Black Doyle and Connie Duncan; and a brother-in-law, Jackie Basford. 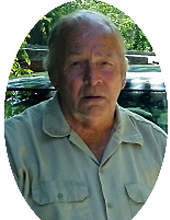 Donnie is survived by three sons, Jesse Black of Morehead, Kenny Black and Donald Wesley Black, both of Wallingford; two daughters, Donnetta Shults of Wallingford and Christy Mynhier (Andy) of Morehead; 13 grandchildren; and six great grandchildren. Other survivors include two sisters, Nancy Jo Basford of Wallingford and Melinda Lou Fultz (Michael) of Ewing; one brother, Jeffrey Wayne Black (Genie) of Hillsboro; several nieces and nephews; and special friends, Johnny Hord of Flemingsburg and Jeff Workman of Muses Mill. He was a truck driver for The Wells Group in Flemingsburg and was of the Baptist faith. Donnie loved horseback riding, attending car shows, and spending time with his family and friends. Funeral services will be conducted 1 p.m. Monday, December 3, 2018, at Northcutt & Son Home for Funerals Memorial Chapel with the Rev. Harley Sexton, Jr., officiating. Burial will follow in Forest Lawn Memorial Gardens. Visitation will be from 6 p.m. to 9 p.m. Sunday, December 2, 2018, at Northcutt & Son Home for Funerals in Morehead. To send flowers or a remembrance gift to the family of Donnie Ray Black, please visit our Tribute Store. "Email Address" would like to share the life celebration of Donnie Ray Black. Click on the "link" to go to share a favorite memory or leave a condolence message for the family.